Our patented concealed Bi-Folding Door Systems are setting the standards in strength, style and security for door panels up to 100kg. Unlike our competitors, we manufacture our systems using a stronger solid stainless steel shaft, avoiding the problems of threaded shafts that can bend, jam and wear out quickly. Furthermore, there is now no possibility of the doors falling out of the tracks. Our patented design also includes a security screw that can only be accessed from the inside, preventing intruders from tampering with the system to gain access from the outside. An easily adjustable pivot design on the top and bottom of the door allows for hassle free adjustments. Our hardware comes pre-adjusted however if onsite conditions mean adjustment is required, then our patented "one hand" adjustment mechanism completely removes all the hassle out of this once-difficult process. 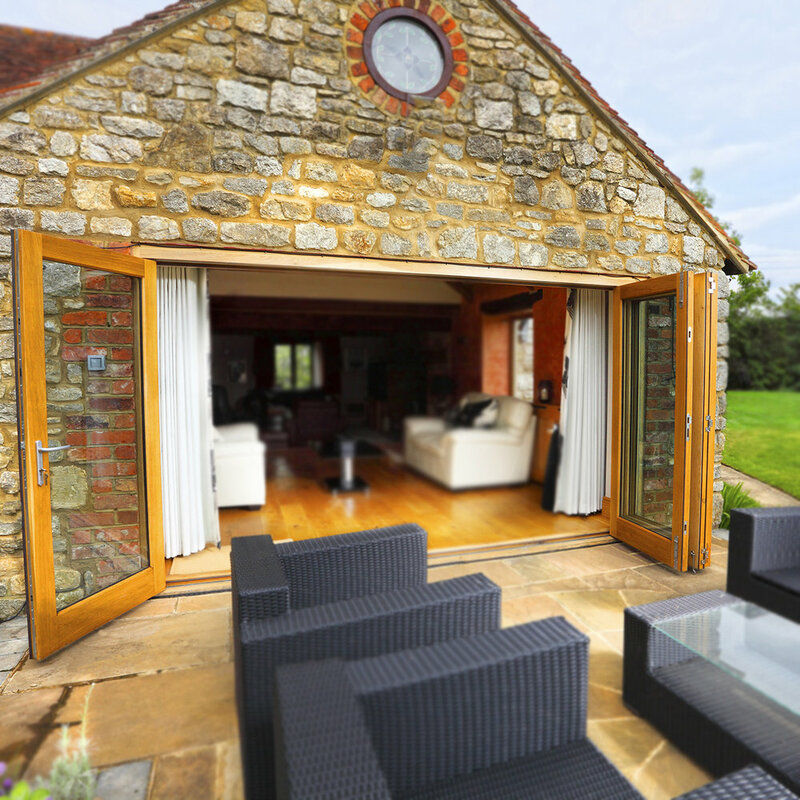 Tomma Bi-Folding Door Systems will ensure that your bi-folding doors will operate effortlessly for up to ten years guaranteed. For inward and outward bi-folding door systems up to 60kg. 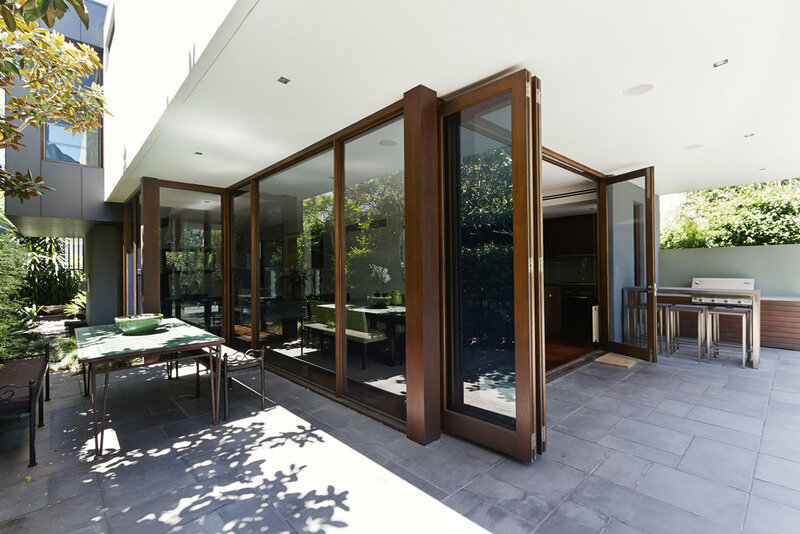 The Tommafold 60 series combines premium hardware quality and functionality to deliver a smooth operating bi-folding door system. Uniquely designed for easy installation, outstanding strength and modern aesthetics, this system is suitable for residential and commercial applications. The Tommafold 60 series has been tested to ensure quality is achieved in all weather conditions so no matter where you are, Tommafold 60 series has you covered. For inward and outward bi-folding door systems up to 120kg. The Tommafold 120 series combines premium hardware quality and functionality to deliver a smooth operating bi-folding door system. Uniquely designed for easy installation, outstanding strength and modern aesthetics, this system is suitable for residential and commercial applications. The Tommafold 120 series has been tested to ensure quality is achieved in all weather conditions so no matter where you are, Tommafold 120 series has you covered.